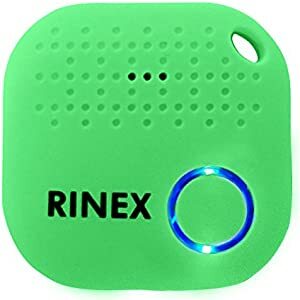 Amazon Giveaway: Bluetooth Key Finder Keychain GPS Tracker for Keys with App, Tracking Device for Phone, Keys, Luggage, Backpacks, Wallets, More and Bluetooth Anti-Lost Device Locator Tags, GPS Tracking Chip by Rinex. Bluetooth Key Finder Keychain GPS Tracker for Keys with App, Tracking Device for Phone, Keys, Luggage, Backpacks, Wallets, More and Bluetooth Anti-Lost Device Locator Tags, GPS Tracking Chip by Rinex. Ends 10/12 at 11:59 PM PDT or when all prizes have been awarded.